Love is always and forever available to all beings equally at all times. Love is neither a feeling nor is it dependent on another person’s show of affection toward you. 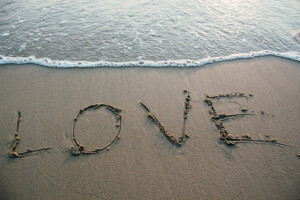 Love is a place to stand, the antidote to fear and a potent and bountiful limitless source of life. Love does not require money. Love is not scarce. Love is not a feeling and love does not fade. In a culture of scarcity and lack, a holiday about love is fraught. Why is Valentine’s Day so complicated? When you see love as a feeling, and you don’t feel that love toward a certain person in a certain way, the result is a feeling of lack. You feel what is lacking is love. Even when you do feel love for or from someone, there’s an expectation that on this annual holiday of love, and many other special days throughout the year, this person must perform some great act of generosity or romance. Even if they do, it rarely matches the version you imagined. You see love as about someone else. They make you feel something and without them, you feel love is not present. We suggest you take a moment today to rewrite and rewire your understanding of love. Celebrate your love of nature. Celebrate your family. Celebrate your love of self. Celebrate your love of life. Expand your definition of love and you’ll see its bountiful presence in so many places. Yes, even see love at work with everyone else doing their best each and every day.